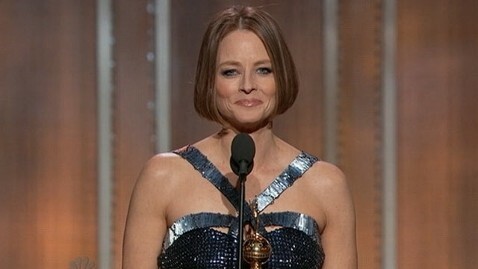 I think Jodie Foster came out in her speech at the Golden Globes?! I'm not entirely sure I could follow her speech, because she danced around many topics and I couldn't follow the thread. Nonetheless, she did mention that she co-parented her two sons with a woman. Either way, Silence of the Lambs and Contact were two great films of many she's created. She's had a long career in Hollywood, and I hope she makes many more films regardless of her gayness.